As most backyard chicken keepers tend to, we eat lots and lots of eggs at our house. And not just for breakfast. I love eggs prepared pretty much any way, but one of my favorite egg recipes is also the most simple. Fresh lemons and the best-quality olive oil you can find elevates a delicious, fresh egg to another whole stratosphere in this recipe which is a twist on a traditional Greek recipe. When you have fresh eggs, the simplest of recipes with the fewest ingredients are often the best to let the taste of your eggs really shine. This recipe requires only three ingredients - and maybe a pinch of salt. I like my egg yolks cooked through (not runny), so I break the yolks and flip the eggs over halfway through, but you can do eggs sunny side up using this method as well, if that is your preference. After you've tried this recipe once, I'm positive it will become a staple in your breakfast rotation. 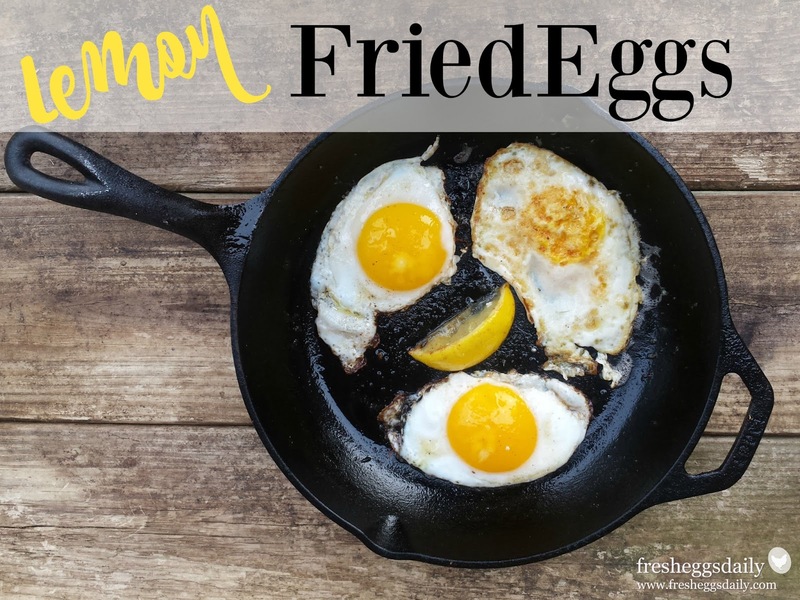 Lemon fried eggs also make a great accompaniment to grilled steak if you enjoy "breakfast for dinner". Give the oil a few seconds to heat up, then carefully crack the eggs into the pan - the oil may splatter so be careful and hold the egg down close to the oil and slowly slide it out of the shell - and sprinkle the yolks with a pinch of salt, if desired. Cook, tilting the pan and using a spoon to baste the tops of the eggs with the olive oil. When the whites are puffed and set, and the edges are browned and crispy, remove from heat (or flip the egg with a spatula, breaking the yolk if desired, and cook until the other side is done). Squeeze the lemon slice over the eggs, season with additional salt to taste and slide the eggs onto your plate. This recipe first appeared in Duck Eggs Daily: Raising Happy, Healthy Ducks...Naturally (St. Lynns Press, 2015) and has been adapted here for chicken eggs. 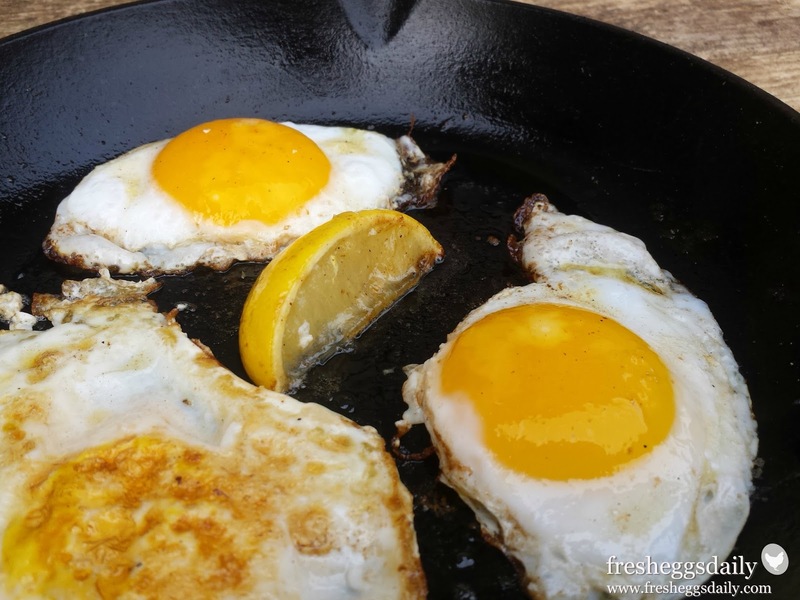 Adding a slice of lemon to the pan when you fry your eggs will elevate and brighten the taste of this simple dish. Heat a cast iron or nonstick skillet over medium-high heat. Once the pan is heated, swirl in enough olive oil to cover the bottom of the pan plus make a small pool when you tilt the pan (be generous with the oil!) Add the lemon slice.